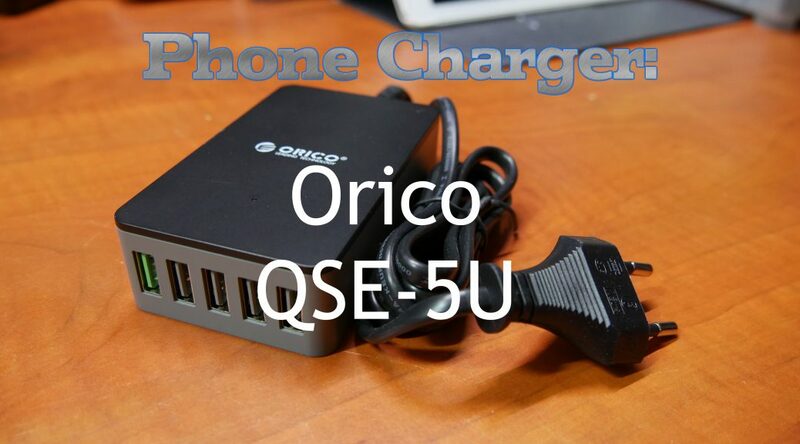 Today I’m doing a fully loaded review of the QSE-5U phone charger from Orico. This phone charger has 4 “super charge” ports and 1 Quick Charge 2.0 certified port. Let’s see how it does! First up is the video review of this unit. 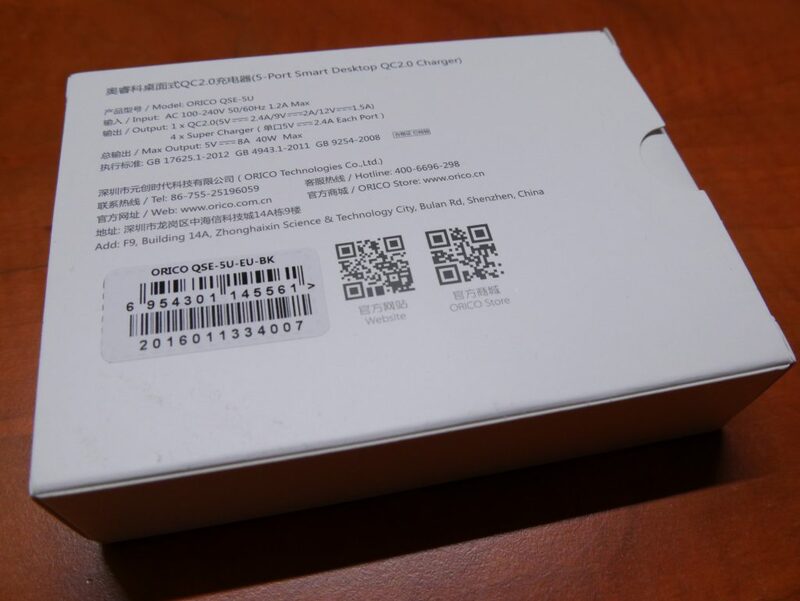 I show you the packaging it comes in, a quick unboxing and the testing setups used while testing this phone charger. Take a look! The charger is shipped in a completely white box with only the logo on the front and some text on the back, it’s a very clean look. In the package you find the charger and a power cord together with some booklets. Speaking of USB cables, take a look at my review about different brands of USB cables here. The results might surprise you! I bought this charger on Aliexpress and you can do so yourself by clicking here. All white and very clean look! With this setup the problem became a bit bigger. When testing the unit with Quick Charge 2.0 the total load became more of a problem. 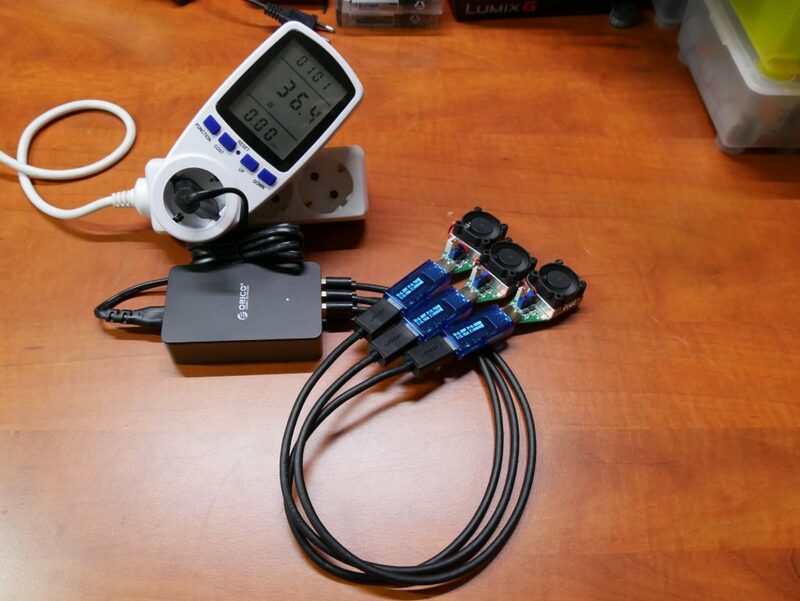 If all the normal ports are loaded with (4x) 5v 2A the quick charge current available would be very limited. Takes this into account, depending on your situation this is ok or not acceptable! With the 3x 5v 2A test the charger was drawing 36.4 watts from the socket. That makes this charger about 82% efficient. A good score. 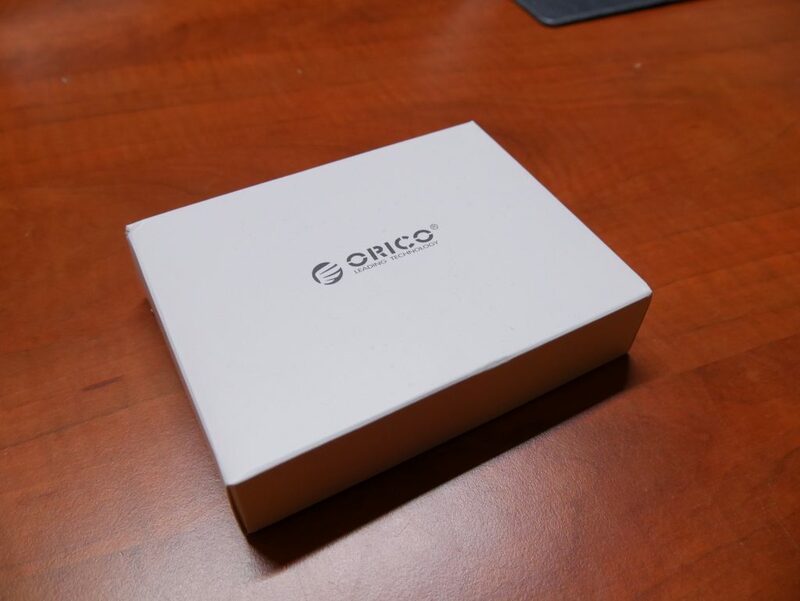 During the single port, middle port test the Orico does just fine. 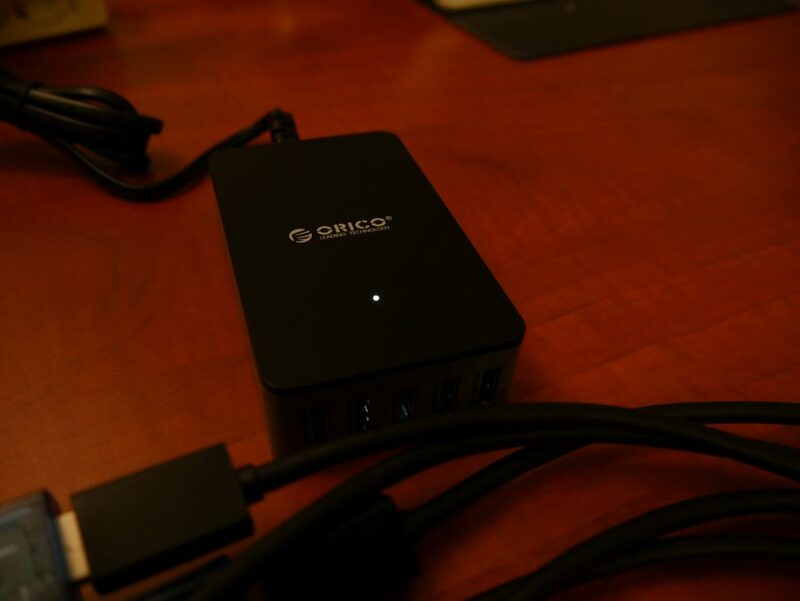 It supplies a good voltage combined with an Amperage cutoff at 2.7 Amps. 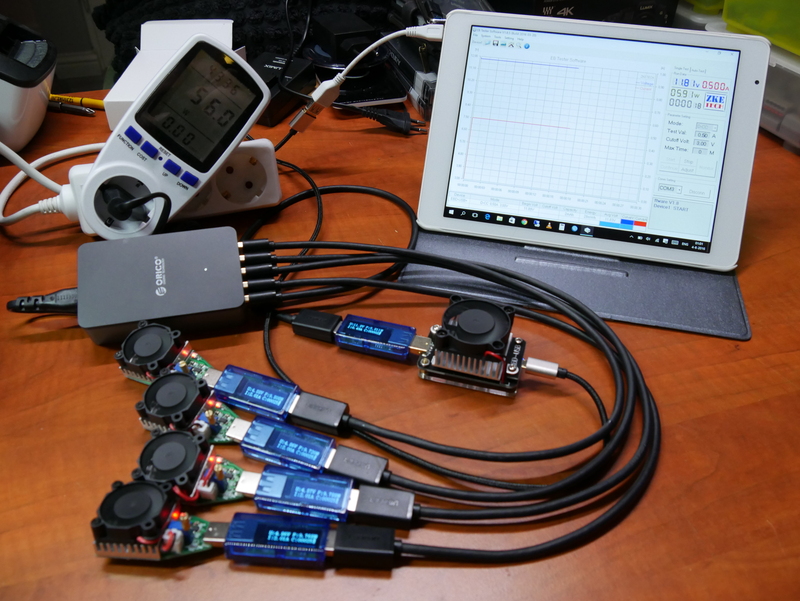 The Quick Charge 2.0 went all the way up to 4.0 Amps during the 5v single port test. That’s the max my EBD-USB can draw from a socket. It’s also quite high so it doesn’t seem regulated which could be dangerous! At 9v we see the same behavior. The total amount is a bit lower because of the raised voltage. Still, voltage is very steady. At 12v the charger still doesn’t disappoint. It goes well above the 1.25A to 1.5A that are officially required. During this text 4 of the 5 ports where loaded with 5v 2A and the EBD-USB was connected to the middle normal port. As you can see at 1.40A the charger gets overloaded and resets itself completely (all ports because of total overdraw). So up to 4 ports it can handle a 5v 2A load, but no more then that! 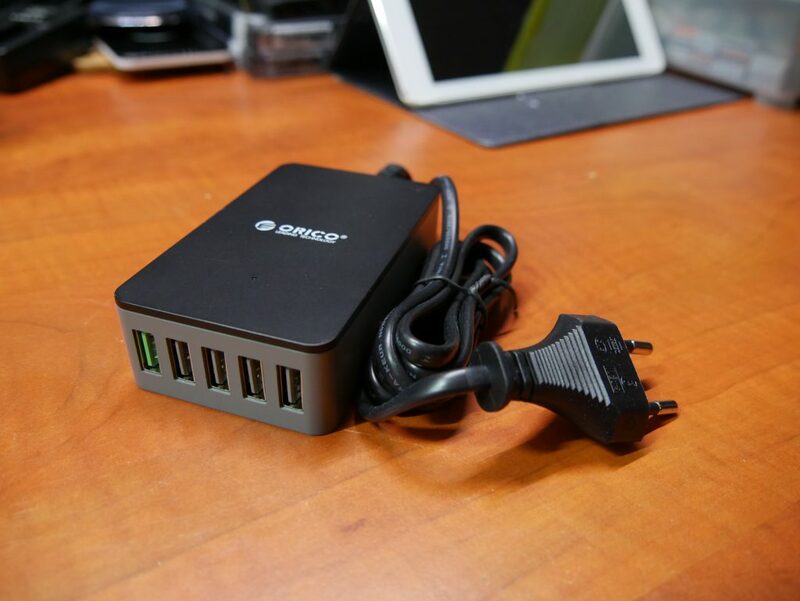 The Orico QSE-5U has a very nice 5 port design. As I mentioned above I really like the separate power cable design. While testing it did well but it’s limitations also became clear. It does well up to 5v 9A but above that the charger starts to reset itself because of a too high load. That is still well above the 5v 8A it’s rated for so in the end it’s able to supply what it is officially rated for. While doing so it doesn’t become very hot either. The hottest temperature I was able to measure after more then 10 minutes of being fully loaded it never became hotter then 52 Celsius. A very good score! So, even though you can’t fully load all the ports at the same time, depending on your scenario this is a very nice charger. 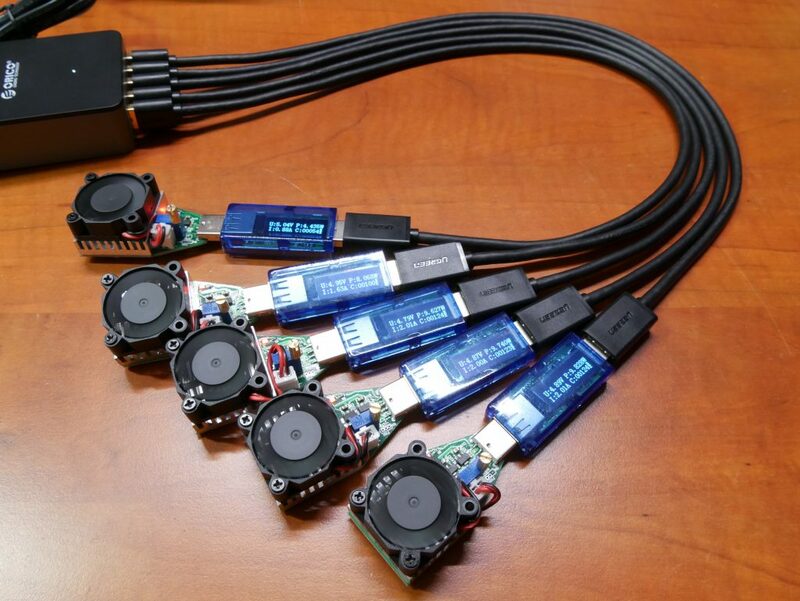 If you are planning to charge 5 depleted iPAD’s at the same time, this charger isn’t for you but if you are mixing a GoPro, iPhone, Android phone and 2 tablets it should do so without issue. But how many times he carries an iPhone for example? Since an iPhone only asks for about 1.0Amps of power. This charger will be able to charge 5 iPhones (all ports) with maximum current it can take at a time. So it should do very well!